In its 125th anniversary year Avon announced the launch of the new Ideal Flawless foundation range last November, whilst simultaneously announcing that Alesha Dixon would be the brand’s Beauty and Empowerment Ambassador. According to Avon, Ideal Flawless boasts “an exclusive patent-pending formula, with skin matching pigments – that lets the light pass through” , thus trumping normal foundations in producing “an invisible veil of coverage to enhance and not hide the skin”. 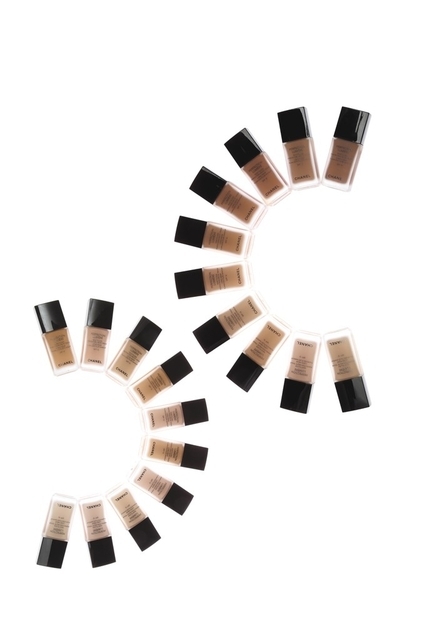 The foundation comes in 16 shades and Avon has produced samples of all of the shades, which are what I tested and which are available from your local Avon Representative. ….so how did I fare? (Just a reminder that I am reviewing the product based on the following criteria: Colour Match, Coverage and Wear and Marketing Support). Despite being 125 years old, Avon has adapted with the times and is very much a 21st century business, with a massive social media presence on Facebook, Twitter and YouTube. Yet the Avon brochure is still very much central to the direct sellers’ business model and it was in one of the brochure that I first saw the colour swatches of the two darkest shades; Sable and Earth and came to the conclusion that there was not a shade suitable for my skin tone as they both looked rather light…..
….well how wrong I was! Earth has a very orange undertone and upon application it seemed that it was the wrong shade because of this tonality, but as it dried, the foundation oxidised and became quite dark – in fact too dark for my skin tone. I am assuming that this was due to the colour matching technology. I was not impressed by this dramatic alteration, I would have expected the adaption to have been far more subtle, given the boast of the advanced formulation. As a result, Earth is woefully misrepresented in the brochure and thus it really is essential to try a sample prior to purchasing. 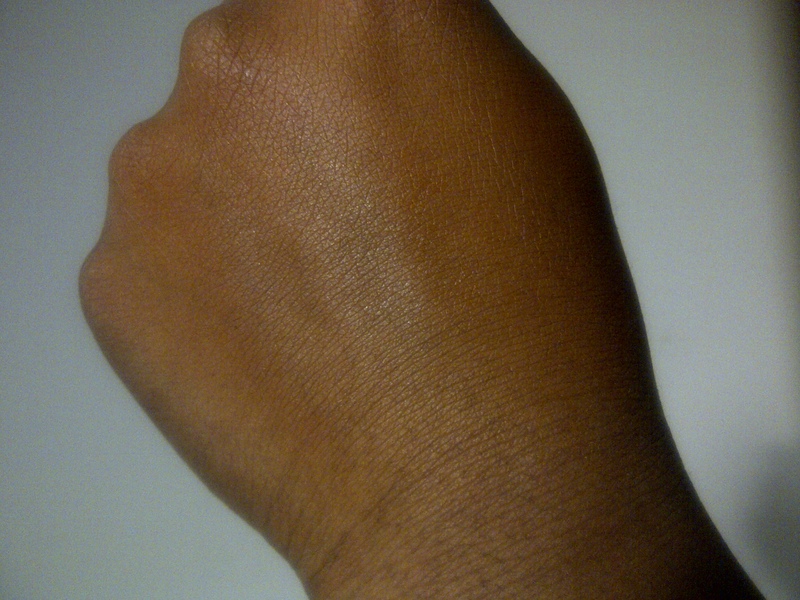 Sable has a more yellow undertone, far too yellow for me upon the initial application. Once again the product ‘adapted’ as it dried and the colour contrast was minimised, but still it was by no means perfect…. …and perfection ladies is really what we need to strive for. Watch this video created by a US Avon Representative. Personally, I think that the foundation used on the black model is not a good match – the contrast between her face and her neck and chest is far too evident. The foundation is too dark. 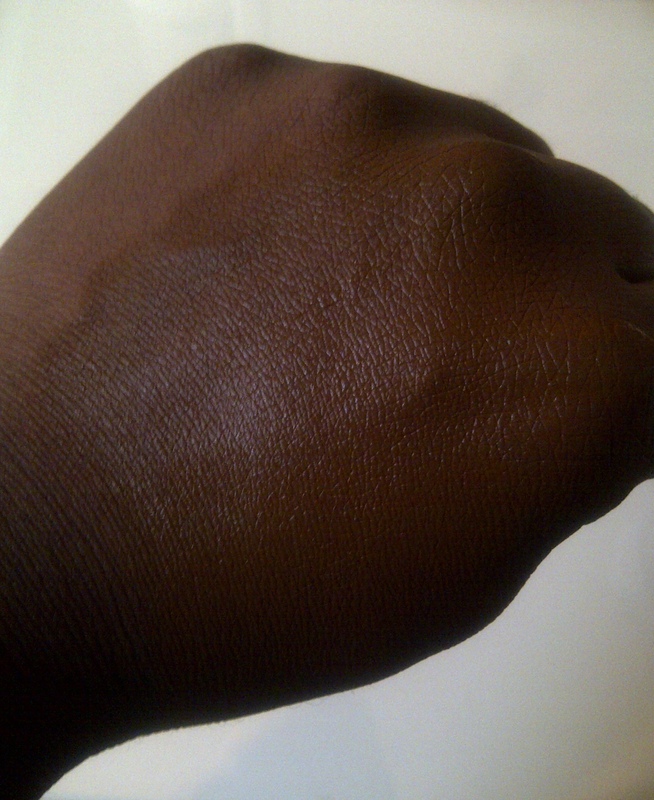 This is just one of the challenges we face as dark skinned women when selecting a shade of foundation. 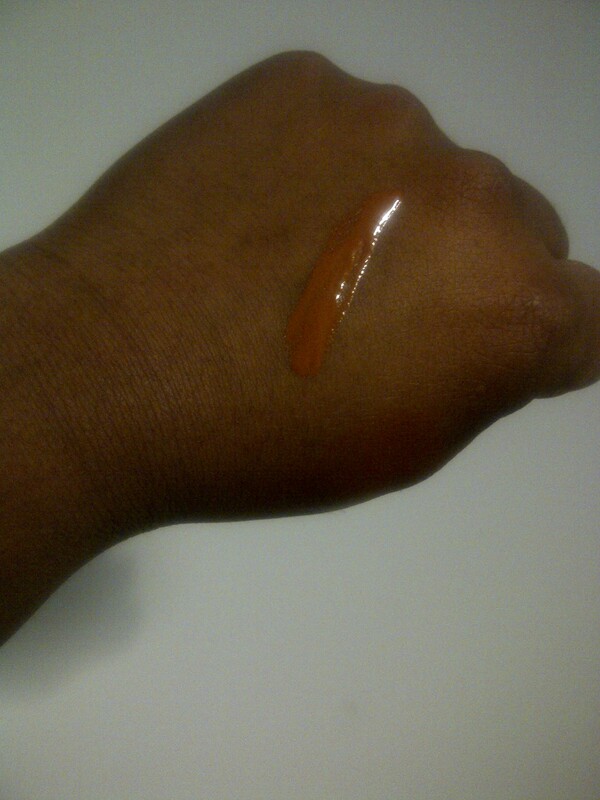 The colour of your foundation needs to match your neck and chest area as well as blend into the skin of your face. 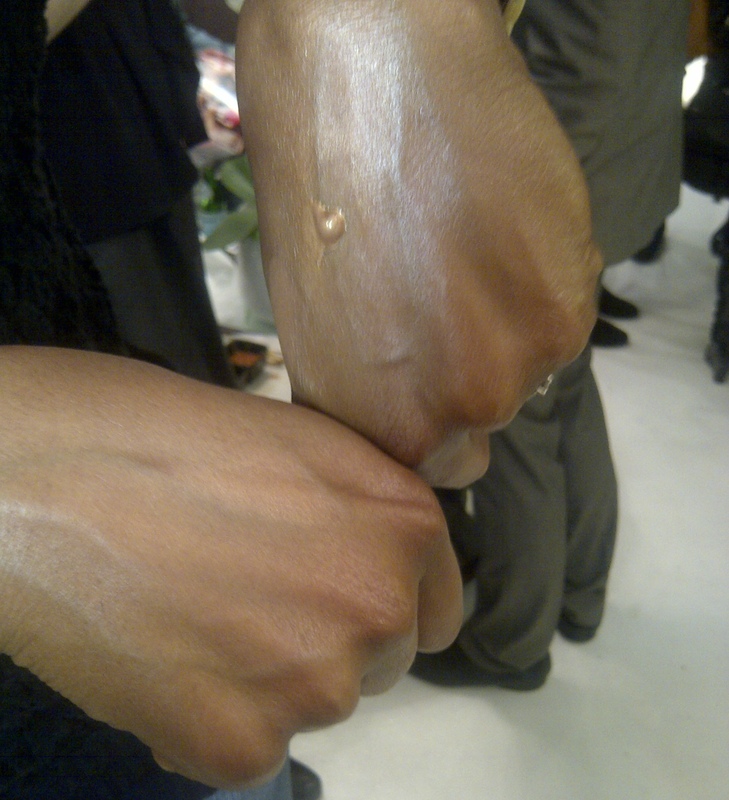 I did wear both of the foundations to test the coverage and wearability (I stayed in all day mind you!). I found that the coverage was light to medium, and did not sufficiently conceal my darker blemishes…although to be fair to Avon, the amount of product that you get in the samples is only enough to just about cover the face once…I am sure that if I were to have more product and was able to apply a second coat I may have achieved better results….but I could only work with what I had! 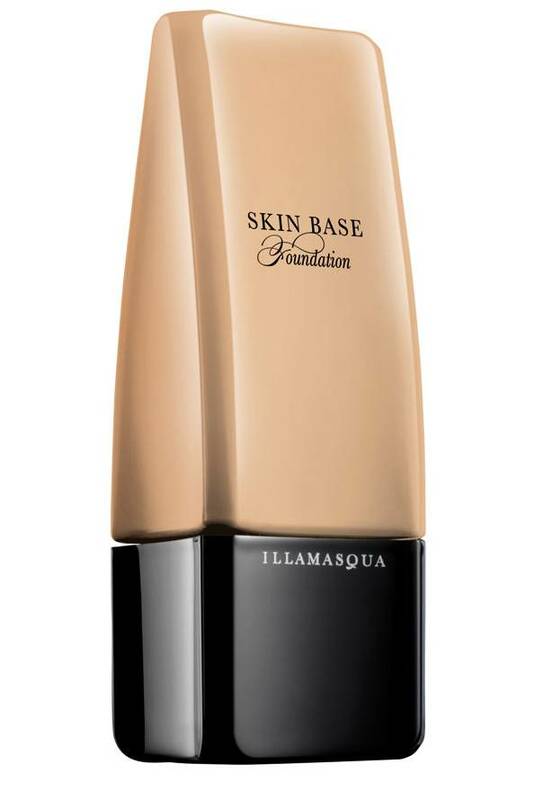 The foundation did blend well, but I found that as it dried it felt tight on my skin, not as malleable and flexible as I would have expected.. 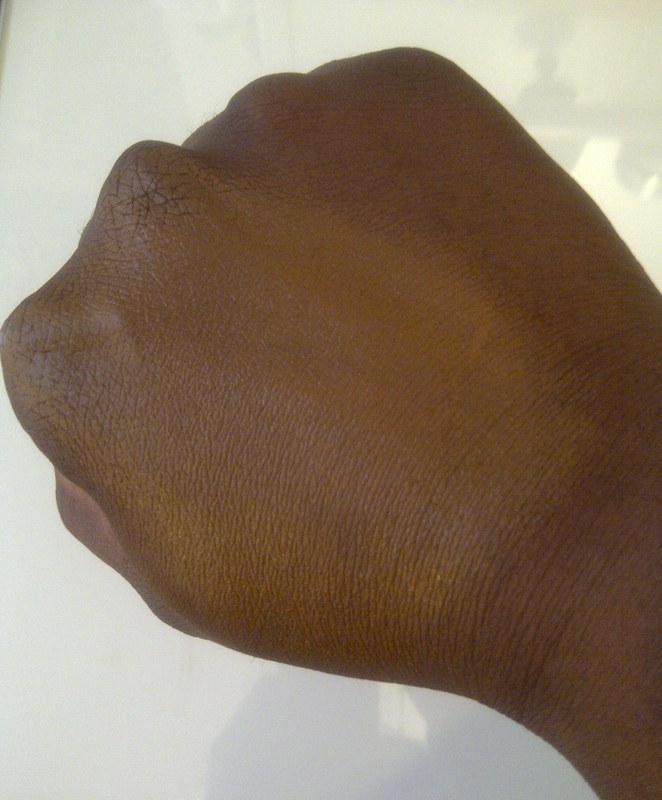 The finish was matte and it did stay but the tight sensation remained throughout the day. I was quite disappointed with the performance of the product on the whole – the oxidisation and the overly dry finish reminded me of the foundations of the early 90s, before much of the technologies and scientific breakthroughs we are accustomed to today had been discovered and incorporated into the latest range of foundations on the market. Avon is one of the the largest cosmetic company in the world and spends millions of dollars on R&D, yet this product for me just felt a bit…well…old school. 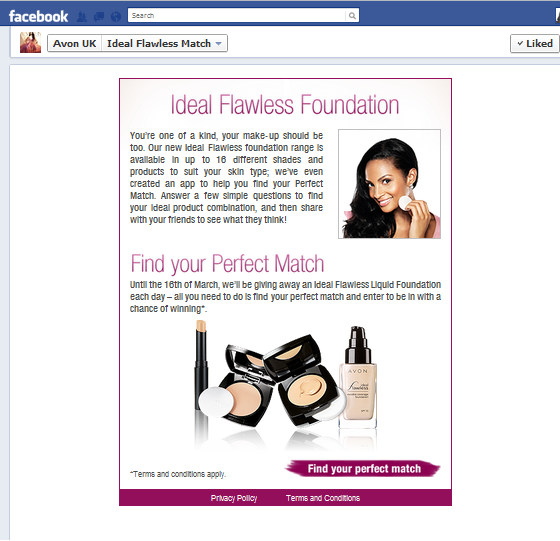 Avon can redeem itself with the marketing support that accompanied the launch of Ideal Flawless...to an extent…. As fore mentioned, central to the high profile campaign is the Avon brochure. Avon launched the product with additional supporting material such as Facebook and Twitter campaigns, YouTube videos and press ads – something which I haven’t seen Avon invest in for some time. 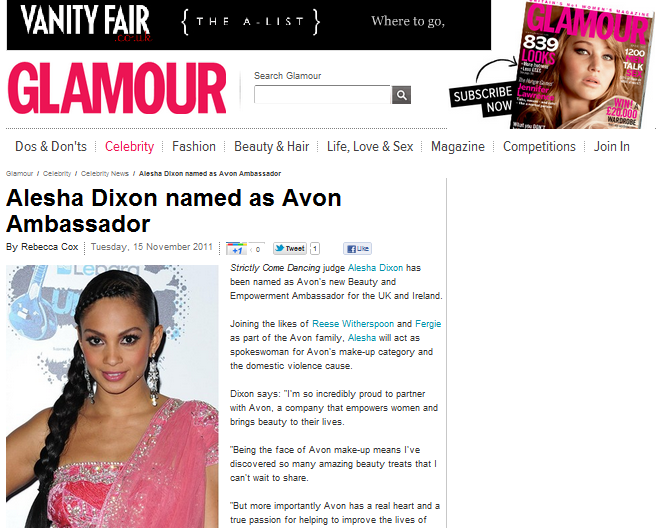 Alesha is stunning and her appointment as Avon’s beauty ambassador garnered a vast number of PR mentions – which is a boon to any brand! I wanted to love this campaign…I really did…but I have to admit that it just seemed a little ‘light’…if you get what I mean…. I think that it would have been wonderful to have seen an Asian and dark skinned black model accompany Alesha, to truly demonstrate the breadth of the colour range to the end consumer. 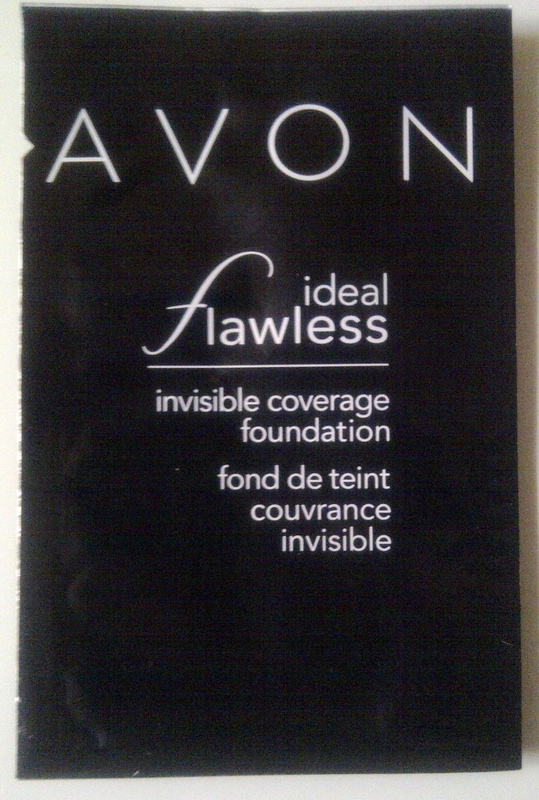 So for me Avon’s Ideal Flawless is, unfortunately, a no – but if you have tried it do let me know what you think! 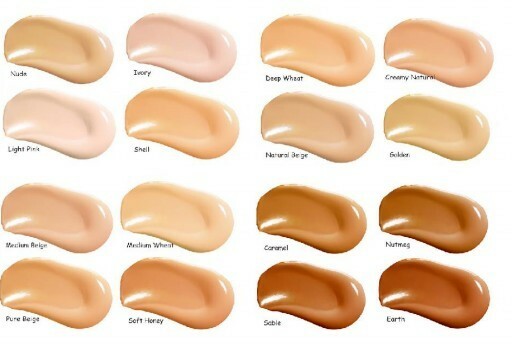 A few posts ago I was enthusing about the newest foundation launches with shades for dark skin! Colour Match – is it detectable? Coverage and Wear – how does it perform during the day? 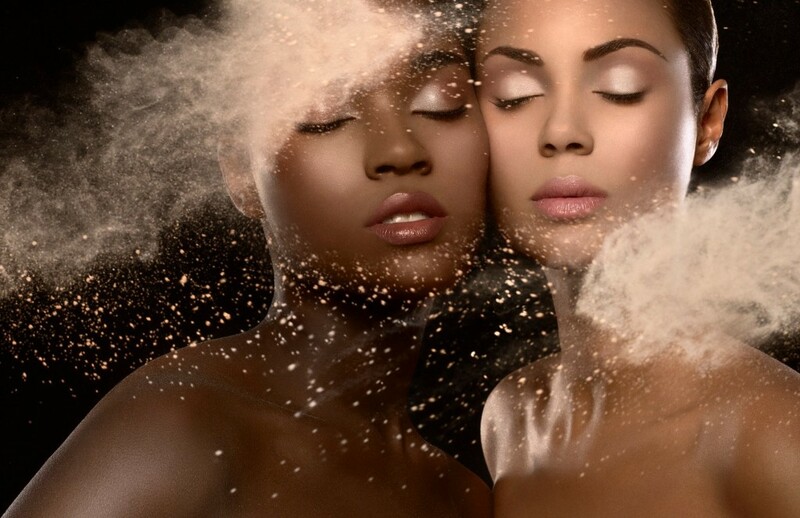 Marketing Support – many woman of colour bemoan the fact that they are underrepresented in the marketing and advertising of beauty products, and as a result conclude that these products are ‘not for them’. I will assess the marketing support for each product to see how well each brand represents the markets that they are targeting. 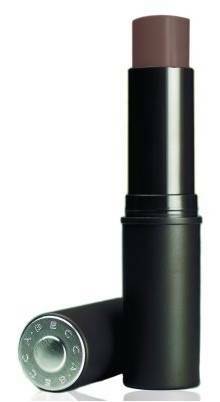 I am a loyal MAC Studio Fix user and I have been wearing shade NW45 for years. It is a good match for me…just so you know what I am benchmarking the trial foundations against. As I mentioned in my previous post, Skin Deep, Lancôme offered customers a 7 day trial of their newest foundation. 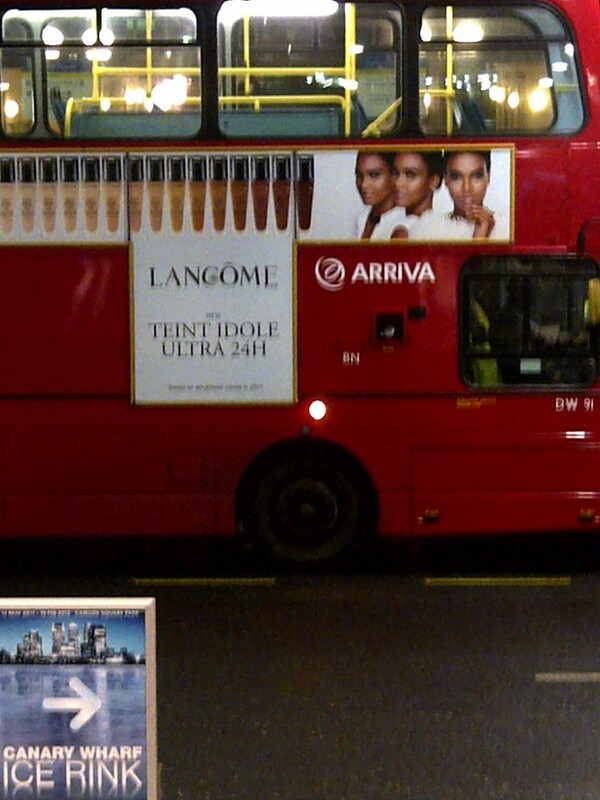 From the adverts in the press I suspected that I would be shade 13 (Sienne)…and what do you know…I was right! 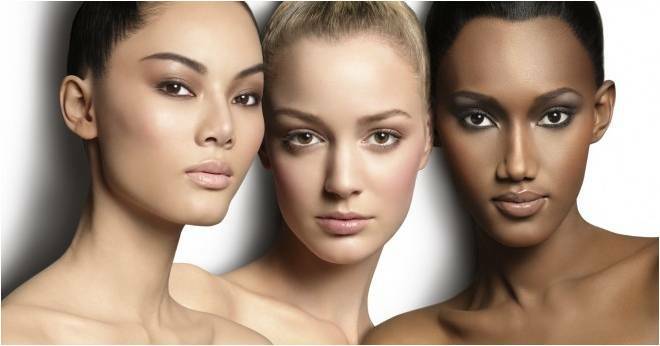 Thus L’Oreal (the parent company Lancôme belongs to) created what was dubbed the “Women of Color” association, and these women decided to blend a shade range perfectly tailored to their specific needs with shades for every skin tone. 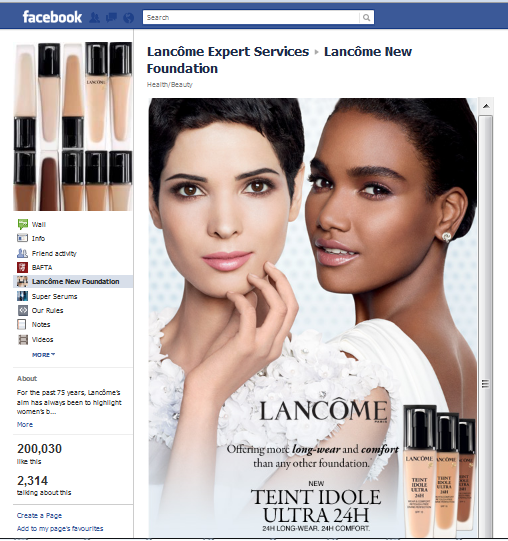 Lancôme soon com mitted to support “Women of Color” with the launch of an international study. Using colorimetric measurements, 15,000 complexion colour points were observed on around 1,000 women. This international study gave rise to the shades unveiled in the Teint Idole Ultra 24H range! Shades 10 (Praline), 11 (Muscade), 12 (Ambre), 13 (Sienne), 14 (Brownie) range from sandy to more intense tones and these shades been developed for every mixed-race, South-American, Afro-American, Indian-American, Antillean or North-African complexion. 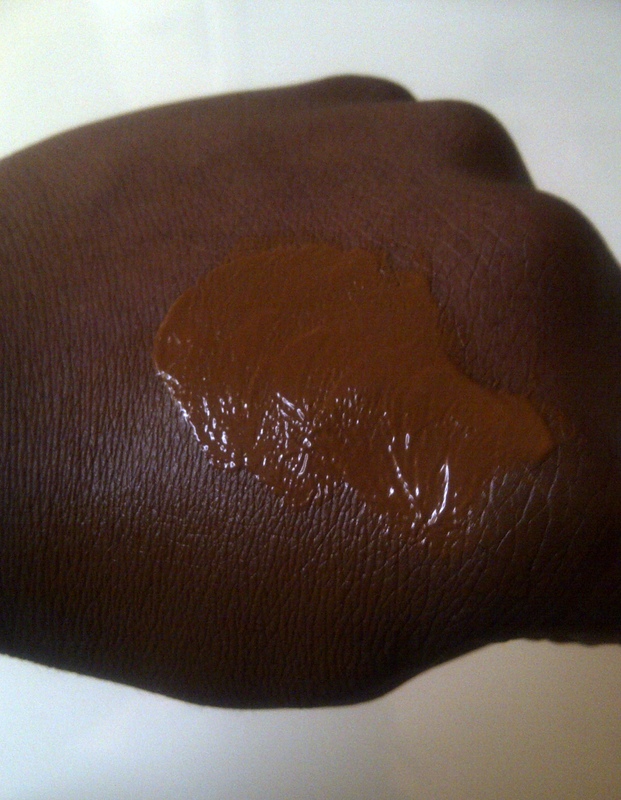 Shade 15 (Acajou), the darkest shade is designed for ebony-toned skin. So that was the science…but what do I think?? 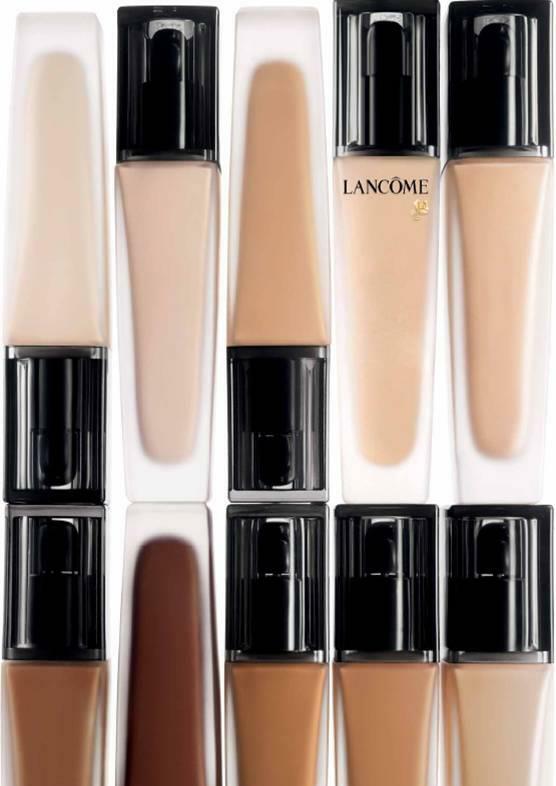 Although Lancôme professes to have a shade for all, with only 6 shades for women with a darker skin tone, I am not 100% convinced. Sienne is a rich toffee colour with deep yellow undertones. 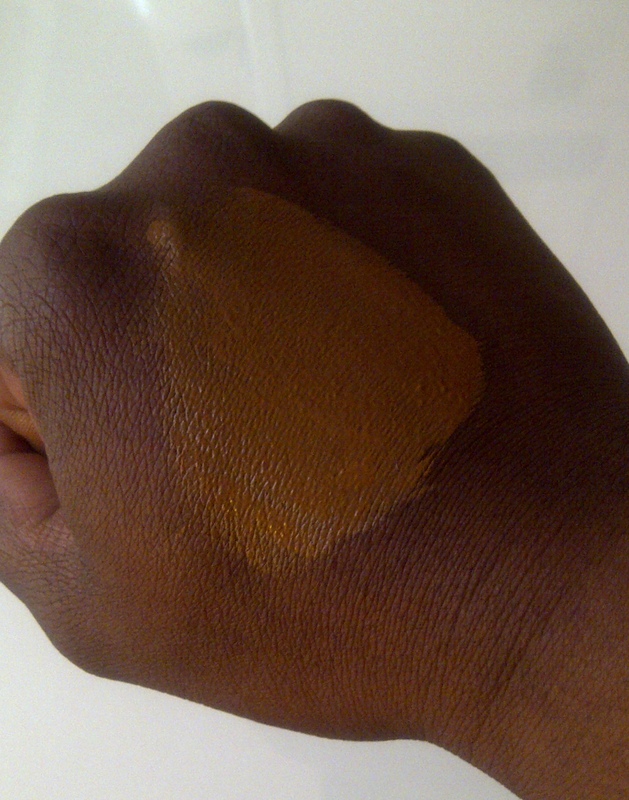 It did blend well to match my skin tone…however upon application to my face (with my fabulous BECCA foundation brush), it was slightly to dark…but I know that shade 12 would be to light, so unfortunately it was a mismatch for me. The foundation provided a medium coverage, and was easy to apply. If you do have any imperfections that require extra coverage (as I do!) you may need to use a concealer too. The foundation has a subtle floral fragrance, which was surprising – but it was pleasant to inhale the fragrance as I applied the makeup. 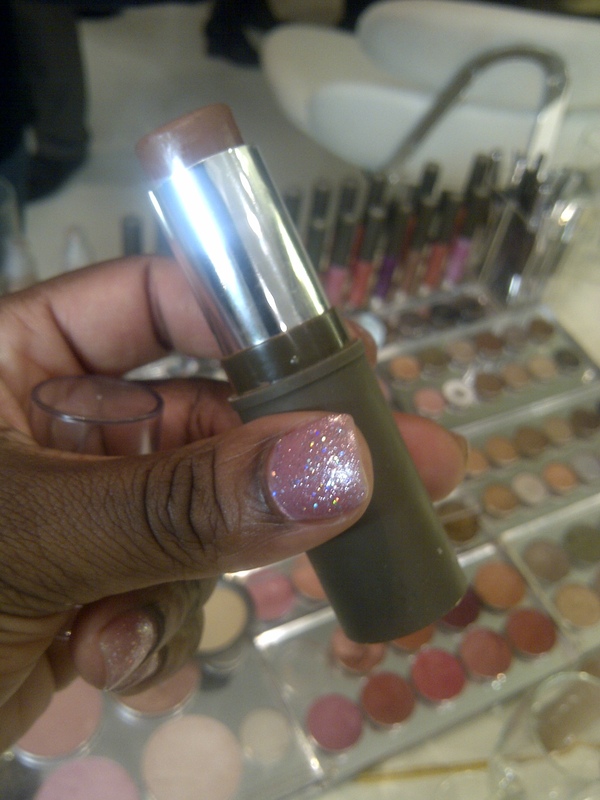 It dries to give a velvety matte finish. My skin tends to get shiny throughout the day, thus I was concerned that the liquid formulation would begin to slide, but I found that it wore well although I did need a little powder to take down the shine. All in all I was very impressed! Lancôme has backed the launch of Teint Idole 24H with a heavyweight campaign which has been highly visible in store, outdoor, online and in the press. Lancôme’s global HQ has done a fantastic job in communicating that this range is indeed for all women…and I was commenting to a friend just last week (yes…I am always talking about beauty!! 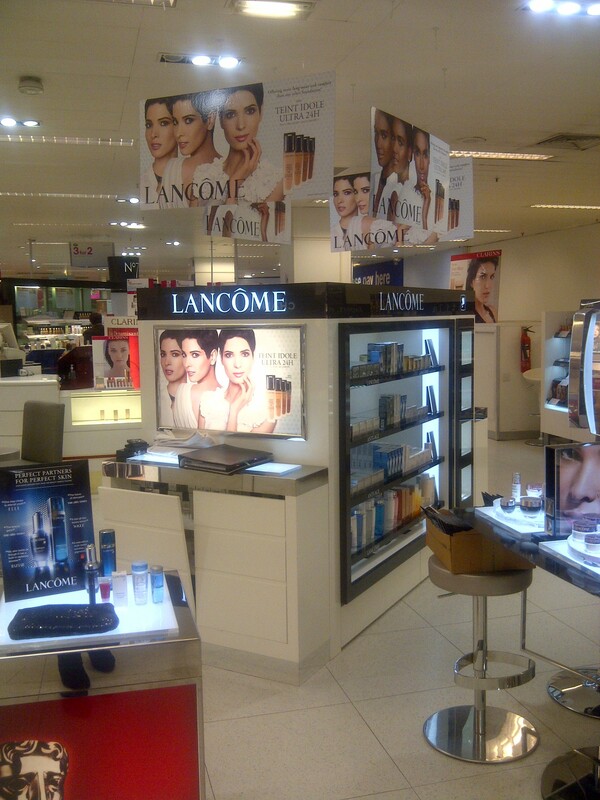 ), that I believe that this is the first major Lancôme campaign that DOES NOT feature a Caucasian woman!! It is fronted by Tunisian beauty, Hanaa Ben Abdesslem and the stunning Arenis Sosa. So there you have it! All in all, if you can find your colour match, I would highly recommend this foundation! I think you had BECCA! Just 6 days until Christmas!! How are you tackling the mission that is the big ‘Christmas Shop’ ? Well, if you are looking for inspiration, I would highly recommend a gift from the Australian make up brand BECCA! The lovely ladies at the BECCA London office invited me to an exclusive industry event last week, which was hosted at the newly renovated boutique, located on Pelham Street in the heart of the Royal Borough of Kensington and Chelsea! 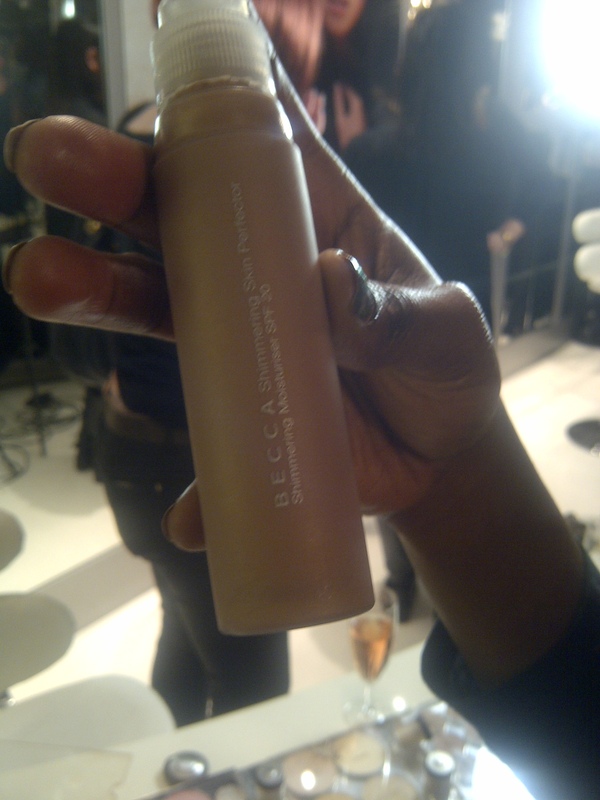 As I had mentioned in a previous blog post, I had learned about the BECCA brand when it was sold in Space NK – but this was the first time that I visited the stand alone boutique. The interior is a blend of the sumptuous textures of descendant chocolate velvet and sparkling mirrored panelling and lighting which creates a chic interior that is both welcoming and luxurious. If you have to buy a present for a cosmetic obsessed friend or family member – you really can not go wrong with a choice from BECCA, as the brand has a range suitable for ALL skin tones, plus many other services that I for one would be extremely happy to find under my tree. It was so much fun to further explore the product range. The foundation range is fabulous – as a black woman, I know that finding a shade that suits not only my complexion, but works well with my skin type (which is slightly on the oily side – a common feature of dark skin) can often prove to be a challenge. I did find my match – the Stick Foundation (£30) in Almond. It literally disappeared upon application…perfection! I also really liked the Shimmering Skin Perfector (£33) in Topaz – fantastic for creating a dewy finish – perfect for the party season! The water-based moisturiser has a SPF of 20+ and light-diffusing particles of shimmer that creates instant radiance and vitality. Make – Up MaestroBECCA is loved by the professional MUA – and you too can gain the skills to enhance your beauty by attending the Introduction to Make-Up Application 2 day course at the BECCA Make-Up Academy. Perfect for the fashion aware, professionals who need to maintain a polished appearance at all times, or the busy mother who wants to enhance her personal makeup routine. Taught by a BECCA International Makeup Artist, the course focuses on skincare, makeup preparation and brush use. During the course, attendees will also receive an exclusive 30% discount on all product purchases!! 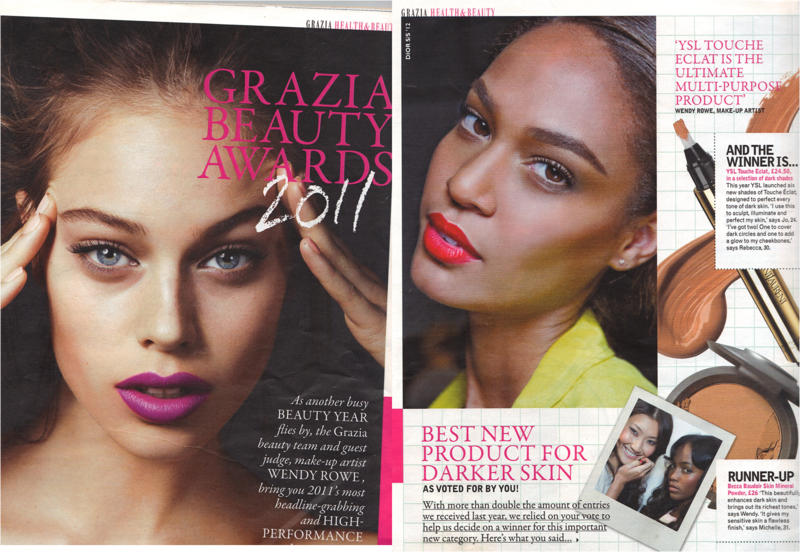 I really enjoyed the event and will be definaitly following the brand in the New year – not only did it celebrate it’s 10th birthday this year, it was also featured as the runner up in the inaugural category for the ‘Best New Product for Darker Skin’ in the 2011 Grazia Beauty Awards – as voted for by…US!